VGS clients includes some of the largest attractions in the world that now have the opportunity to connect seamlessly into global distribution networks that allow their customers to book tickets via multiple platforms. “With changing consumer purchase behaviour for attractions and the increasing emergence of Online Travel Agencies (OTAs) in this sector, this partnership allows VGS clients to access a global distribution network easily without all the administration and cost of connecting to each of them one by one.” says Renee Welsh, Chief Executive, Solutions Group for Helix Leisure. “It’s also a win for the consumer who will now be able to view live availability and get instant confirmations to some of the worlds most loved attractions via their preferred OTA, in their language and via their preferred payment method. All making ticketing and booking frictionless for the customer”. “With the integration of the Booking Boss’ Channel Manager, the VGS platform further extends its real-time connection to hundreds of distributors. The new option is highly beneficial to our clients, who optimize even more their global visibility and distribution capabilities, and to our client’s guests who have direct access to the latest offers already during their travel schedule and booking” says Paolo Moro, CEO of VGS. The Booking Boss and VGS deal is leading the attractions sector in distributing tickets online. In Phocuswright’s Tours & Activities: Come of Age report in 2017 revealed a prediction of the online sales share for the Activities and Attractions sector to increase from 11% to 21% by 2020 to which this deal will certainly contribute towards. VGS was established in 2011 by a group of passionate and committed experts, each with decades of experience in supplying state of the art ticketing systems and ticket distribution services to the tier one leisure, entertainment and cultural businesses worldwide. Working across theme parks, monuments, events, theatres, stadiums and more, VGS has been devoted to perfecting the most advanced ticketing platform - leveraging on the founders' incomparable market experience and on the latest technology standards. 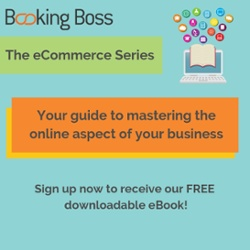 Booking Boss is a cloud based ticketing and booking management software for attractions and tours with an integrated Channel Manager connecting into the largest Online Travel Agencies (OTAs) globally. Booking Boss clients receive increased business visibility through centralised ticketing which allows them to make informed business decisions, improve internal processes and streamline customer ticketing and booking experiences. Helix Leisure is a privately-owned company that provides best-in-class products and services to the Out-of-Home Entertainment (OOHE) Industry. Companies include LAI Games, Embed, The Locker Network and Booking Boss, with offices in the USA, UAE, Singapore, Indonesia, and Australia. Helix Leisure is a truly integrated, global group, leading the growing OOHE market.